The Miniatures Page: A webzine with hobby news, directories, and discussion forums on a wide variety of subjects related to miniature wargaming. The Centurions Wargaming Group: A blog that follows the activities of one of my local wargame groups. 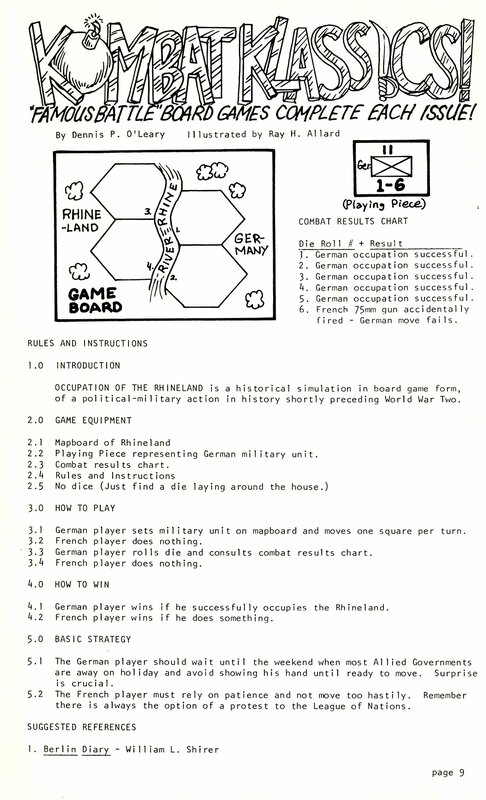 Raven's Games: A gamer website that features hobby news items, links to resources, and free wargames. Pretschendorfer Weinachstberg: (in German) 48 models of German buildings, suitable for wargaming in central Europe. Canon Creative Park Paper Craft: Impressive building and vehicle models accessible from the menu on the left. Paper Modelers: A very large and active community of knowledgeable and friendly folks, exploring every aspect of paper modeling. Dream Pod 9: The Downloads page. Under "Gear Krieg", there is a zip file of seven excellent and useful cardstock building kits by Paul Lesack. Wilhelmshoher Kriegskarten: (in German) Part of the Digitales Archiv Marburg, click on the "WHK" link in the left margin of this page for an amazing collection of historical maps. The Vinkhuizen Collection: An extensive collection of Uniform Plates at the New York Public Library. The Nafziger Collection: A list of over 7000 Orders of Battle compiled by indefatigable researcher George Nafziger, now donated to the Combined Arms Research Library. America's Historic Lakes: The history and geography of the Lake Champlain/Lake George region. War of 1812: The Royal Canadian Geographic Society's site covering the war. See escpecially this page which focuses on the action on the Great Lakes, beautifully illustrated with accurately rendered paintings by Peter Rindlisbacher. Civil War Talk Radio: A long-running history podcast with hundreds of episodes, featuring entertaining and informative interviews with authors, historians, filmmakers and game designers. Indian Key diorama: The National Geographic blog has an article about the history of Indian Key, which is highlighted by a photo of a 1:300 scale diorama of the island as it looked in 1840 that includes a couple of War Artisan ship models! There is a slideshow of more photos of this impressive diorama on this page at the JKN Model Works site, which built it for the Florida Keys History and Discovery Foundation. Find some of the most useful and interesting history and wargame sites on the web using these links.